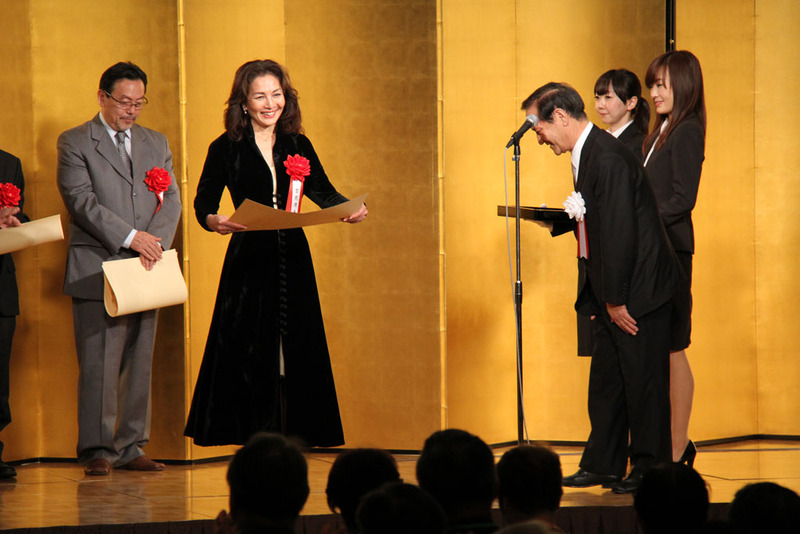 With great pleasure, Sake Samurai UK would like to inform you that Rie Yoshitake has received the Minister’s Award for Overseas Promotion of Japanese Food. 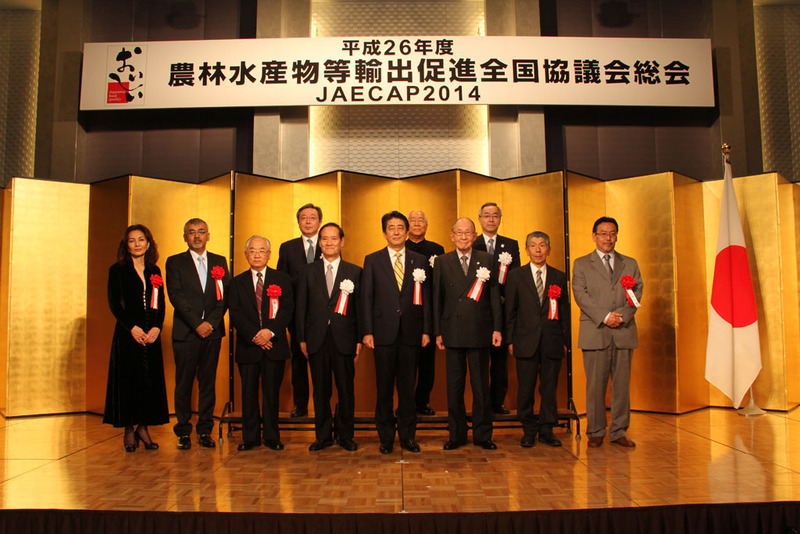 This prestigious award is bestowed to persons who have made outstanding contributions to the awareness and proliferation of Japanese cuisine, Japanese food and other Japanese agricultural and fishery products overseas. 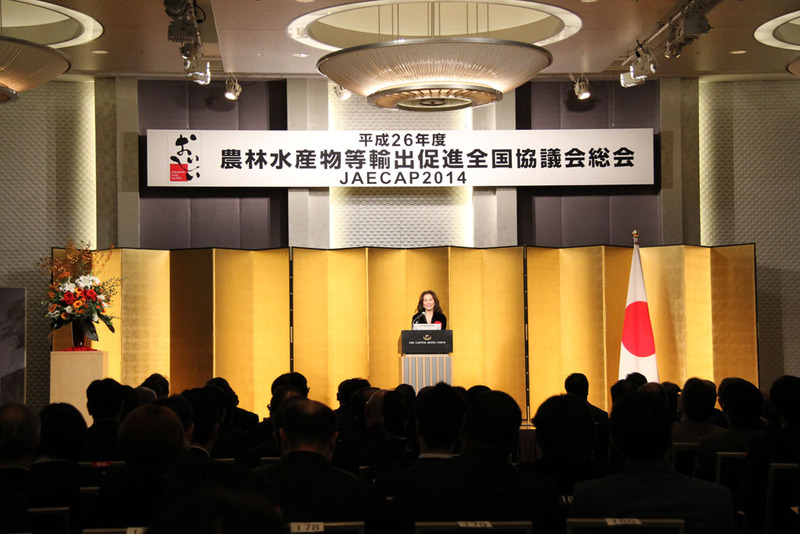 The award ceremony took place in Japan in the presence of the Prime Minister Shinzo Abe in Tokyo in November 2014. In pursuit of a personal ambition to create a bridge between Japan and the UK, Rie has been engaged in various aspects of cross-cultural and business activities since her arrival in 1986. In 2006 she became involved in the sake competition at the International Wine Challenge (IWC) as the UK representative of the Sake Samurai and as the IWC Sake Ambassador. With her knowledge of the wine trade and her exceptional personal network, she has been successfully spreading the word about sake and raising the profile of Japan’s national drink internationally. Her achievements in promoting sake have included prestigious sake events at the UK Houses of Parliament, Oxford University and the Embassy of Japan, as well as the celebrated sake videos for the Guardian Media.